If your practice or business is being targeted in a Zone Program Integrity Contractor (ZPIC) audit, you need to understand the risks involved. ZPIC audits are significantly more invasive than Recovery Audit Contractor (RAC) audits, and they have the potential to lead to civil enforcement actions or even criminal charges for Medicare fraud. Due to high levels of fraud and abuse, the Centers for Medicare and Medicaid (CMS) employ a number of different tools for targeting healthcare providers suspected of submitting false and fraudulent claims for federal healthcare program reimbursement. One of these tools is the Zone Program Integrity Contractor (ZPIC) audit. ZPIC audits are similar to Recovery Audit Contractor (RAC) audits in that they are conducted by third-party government contractors; however, unlike RAC audits, ZPIC audits can lead to civil – or even criminal – charges. 1. Understand What a ZPIC Audit Is (and Isn’t). ZPICs are private government contractors who are tasked with helping in CMS’s fight against fraud, waste, and abuse in the Medicare system. But, unlike RACs and Medicare Administrative Contractors (MACs), which are also private contractors, ZPICs perform a sort of pseudo-law enforcement function by helping identify providers who may be appropriate targets for federal Medicare fraud investigations. However, while a ZPIC audit can lead to a federal investigation, if you are being audited by a ZPIC, you are not yet at risk for facing federal charges. As a result, it is critical that you take appropriate action to resolve the audit without additional inquiry. This is where having an experienced healthcare fraud defense team on your side comes into play. 2. Understand Why You Might Have Been Targeted for a ZPIC Audit. Additionally, like the Medicare Fraud Strike Force and the other federal authorities that target Medicare fraud and abuse, ZPICs rely heavily on data analytics to identify potential false and fraudulent claims. This approach frequently leads to audits and investigations of providers who submit “abnormal,” but completely legal, reimbursement requests to Medicare. ZPICs may also initiate audits in response to complaints, referrals from RACs and MACs, and other sources of information about possible improper or inaccurate billing practices. 3. Understand What Does (and Doesn’t) Constitute Medicare Fraud. Among the primary risks of facing a ZPIC audit is the danger that the ZPIC will refer your case to the Office of Inspector General (OIG) or the Department of Justice (DOJ) for federal prosecution. As a result, when dealing with a ZPIC audit, it is critical to understand what constitutes Medicare fraud so that you can build an effective and strategic defense. The OIG, DOJ, and other federal agencies can pursue civil and criminal Medicare fraud charges under a number of different statutes. However, one of the most commonly used statutes in Medicare fraud cases is the False Claims Act. Under the False Claims Act (and other statutes), there are a variety of practices that may constitute fraud if undertaken with the necessary intent, but which should not lead to liability if they result from an innocent mistake or organizational oversight. Knowing whether the issues raised during your ZPIC audit have the potential to lead to further investigation – and knowing how to address apparent improprieties before ZPIC auditors seek to take matters into their own hands – is a critical first step toward mounting a successful ZPIC audit defense. 4. Conduct an Internal Assessment. 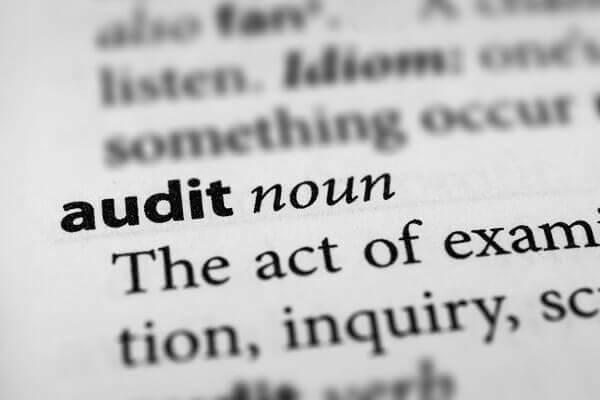 With this in mind, when you find out that your practice or business is being targeted in a ZPIC audit, it is critical to conduct an internal assessment in order to determine your potential exposure. Have your employees submitted improper or inaccurate claims? If so, how did this occur? What can you do to prevent recurrences in the future? By answering these types of questions, you can avoid surprises during your ZPIC audit and build a fully informed defense. 5. Know the Risks You Face if You Do Nothing. We touched on this already, but to be clear, if you do nothing in response to a ZPIC audit, the consequences can be severe. You can face liability for refunds (or recoupment) of any amounts the ZPIC concludes were improperly billed, and the ZPIC can also refer your case to the OIG or DOJ. In addition, a common practice among ZPICs is to send a “Post-Payment Review Results and Provider Education” letter upon the conclusion of an audit. If you receive such a letter, you have 60 days to refund any alleged improper Medicare receipts (or else face the possibility of charges under the False Claims Act), and you will become a more-likely target for additional audits and investigations in the future. 6. Know How to Identify a ZPIC. If you or anyone in your practice or business is contacted by an employee of one of these companies, you need to be concerned about a ZPIC investigation. During your ZPIC audit, you are likely to be visited by auditors from the ZPIC for your zone. While the process is referred to as an “audit,” it is important to keep in mind what is really going on: You are being targeted by a contractor who works for the government, and who has the authority to recommend that the government pursue a civil or criminal case against you. The auditors are there to uncover evidence of fraud, and you need to treat your situation accordingly. This means enforcing your rights, and avoiding mistakes that could lead to charges (or make it more difficult to defend against charges) down the line. 8. Avoid Mistakes that Could Harm Your ZPIC Audit Defense (and Lead to Federal Charges). What kinds of mistake are we talking about? Unfortunately, the list is almost endless. From disclosing records that do not need to be disclosed to destroying potentially damaging information, there are numerous common errors that can harm providers’ chances of resolving ZPIC audits without liability or further inquiry. Each situation is unique, and providers facing ZPIC audits need to take a measured and strategic approach to protecting their interests appropriately. 9. Know the Defenses to Medicare Fraud and Grounds to File a ZPIC Appeal. When it comes to challenging ZPIC findings and protecting providers’ interests in the wake of ZPIC investigations, there are a number of options available. Providers should work closely with their attorneys to develop comprehensive defense strategies designed to avoid (or, if necessary, minimize) their liability as quickly and cost-effectively as possible. 10. Hire Experienced Legal Representation During Your ZPIC Audit. When facing a ZPIC audit, experienced legal representation is essential. The process is extraordinarily complex; and, despite what the ZPICs may tell you, they are not there to help. ZPICs are tasked with uncovering Medicare fraud and abuse, and they will not hesitate to refer providers to CMS, the OIG, or the DOJ for recoupment requests and federal prosecution. Too often, providers wait until their ZPIC audit leads to a finding of liability before talking to an attorney. This is a mistake. Early intervention is critical, and the goal of your legal representation should be to avoid a finding of liability – not to attempt to overcome one. As a former Assistant United States Attorney, Lynette Byrd has years of experience working in law. She focuses her practice on criminal and civil litigation, Medicare and insurance audits, and general advice and counseling within the realm of health care law. Clients of Attorney Byrd have great respect for her ability to merge her profound law understanding with her superb litigation skills. Schedule a Free Consultation with Oberheiden, P.C. Oberheiden, P.C. is a team of experienced healthcare fraud defense lawyers and former federal prosecutors who represent clients in ZPIC audits and Medicare fraud investigations nationwide. If you have been contacted by a ZPIC, our attorneys can take swift and aggressive action to protect your rights. To get started with a free and confidential consultation, call us at (888) 727-5159 or request to speak with an attorney online today.